Electric locomotive class E 44 of the German Federal Railway. AC model with integrated load-controlled digital decoder. 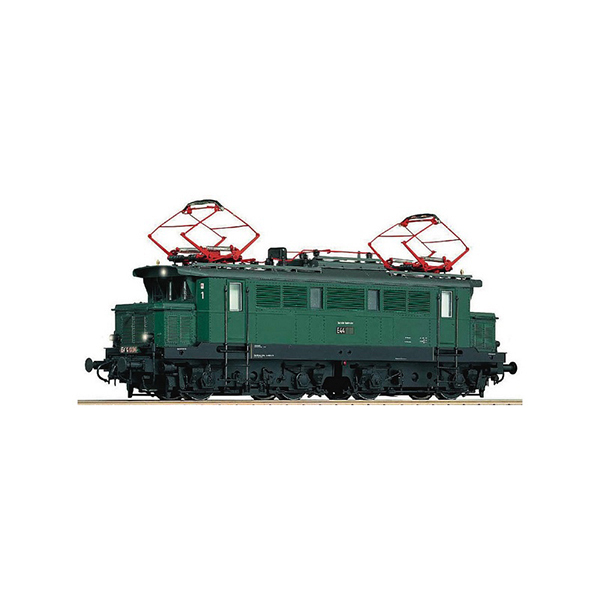 From the electric locomotive series E 44 almost 200 locomotives were put into service in the period between 1932 to 1954. The power output of the 4-axled bogie locomotives was around 2200 kW and the maximum speed was 90 km / h. The locomotive hauled passenger trains as well as goods trains and therefore quickly earned the nickname "girlFriday" "Mädchen für alles". The axle-hung drive was already revolutionary at that time, from which the locomotive families such as the E 10, E 40 and the E 50 later also benefited. Head light: Two direction dependent tail lights and dual headlights. New item not released yet.